Food and drink pop-ups come and go but KERB is here to stay and they're inviting you to celebrate its 4th birthday with try-before-you-die food hybrids and appropriately boozy, thirst-quenching cocktails this weekend. While the very premise of a food-drink pop-up implies a limited shelf life, KERB isn't going anywhere and thank goodness. It's hard to think of life pre Oli Baba's halloumi fries and weeknight by cocktails Camden canal. 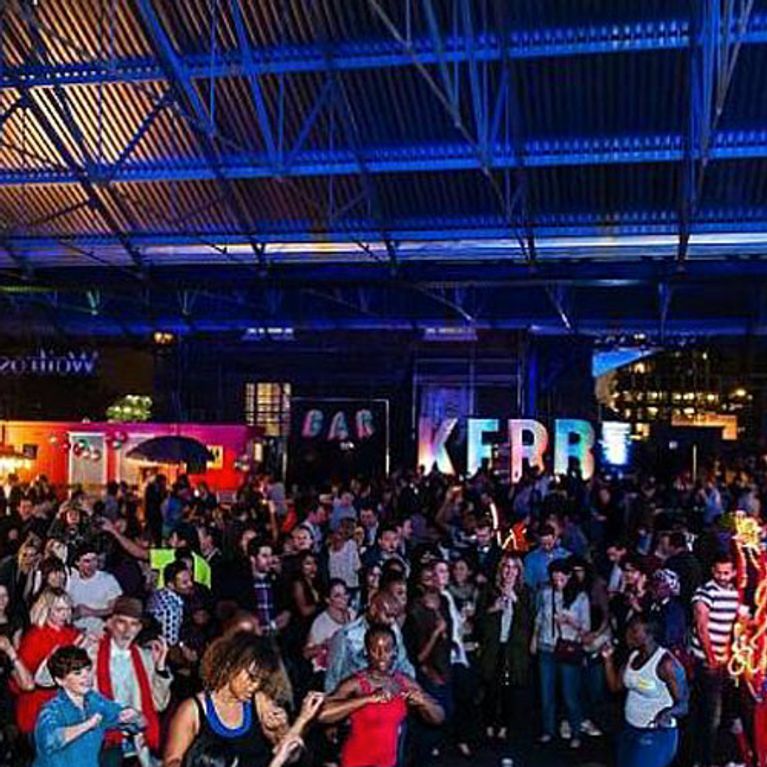 This weekend, KERB are rewarding their loyal foodie followers and doting drinkers with a party that beats your average Friday night spent at after-work-drinks you were all but forced into. The eating-out experts and its diverse roster of food and drink vans will land on West Handyside Canopy in King's Cross, armed with options to satisfy the tastebuds of even your fussiest friends. The line-up includes some original KERB vendors (Bleecker St Burger, Blu Top Ice Cream, oh my Dog! to name but a few) as well as a handful of not-to-be-missed KERBlaborations. The drinks menu is sure to whet your appetite with themed cocktails concoted especially for the occasion which are complemented by a lengthy list of top-notch craft beers. This fat Friday will be soundtracked by a hip-hop marching band and The Pig and The Rig - a truck boasting high-quality speakers which will blast out your favourite indie and reggae tunes while you wait for your hog roast ciabatta sandwich to be served. If you're still not convinced, tickets cost a measly £4 and can be bought here.